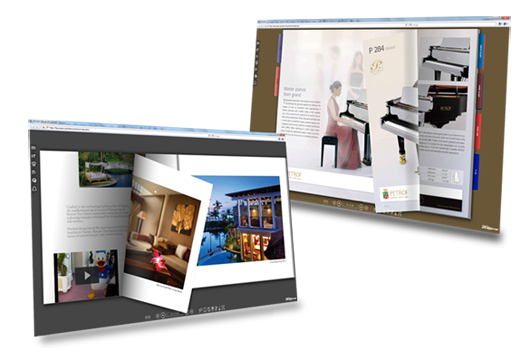 ePageCreator imports any PDF file that you choose and converts it into a beautiful flip book. The flip books that are created are in flash with options to enable other formats like HTML5, ePub and Mobi. The Flash flip book can be viewed on PC and Mac. The HTML5 flipbook can be viewed on mobile device including iPad/iPhone/iPod, Android smartphone/tablet and Windows smartphone/tablet. Moreover, you can also convert your PDF to ePub and mobi for eReader. 100% white label so you can have your own logo and branding on the flipbook. Getting Started. You can also give the option to change the interface language for the reader so they can change it to any language they prefer. Not all publications need to be read from Left to Right. Some publications in different languages require Right to Left reading. 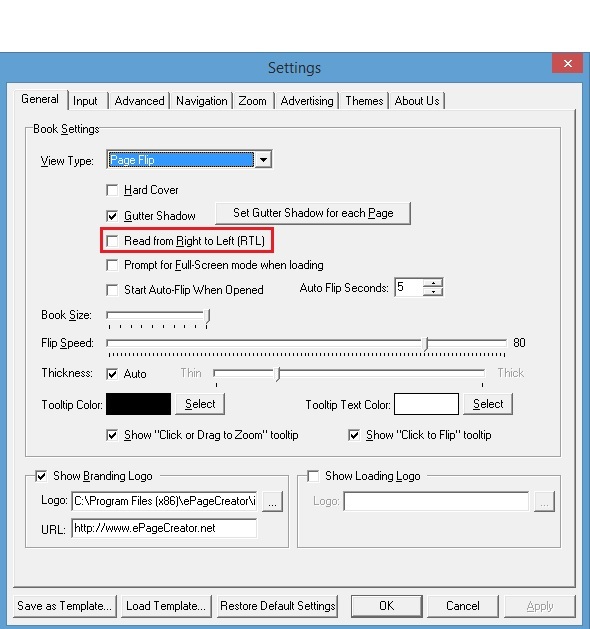 You can enable that option in Settings so you can make it read from Right to Left instead. FlipExplorer is a reader app that allows the reader the option to save the flipbook onto their mobile device so they have access to it when they do not have internet connection.